Once the body is knit and the short rows closed, the bind off is done with an I-cord. 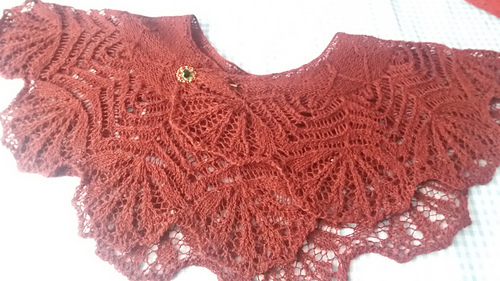 The finished shawl is approximately 110cm (43in) long and 28cm (11in) wide. 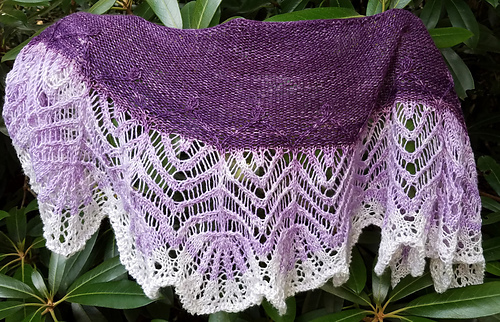 You can make a bigger (longer and deeper) shawl by adding more repeats of the lace. 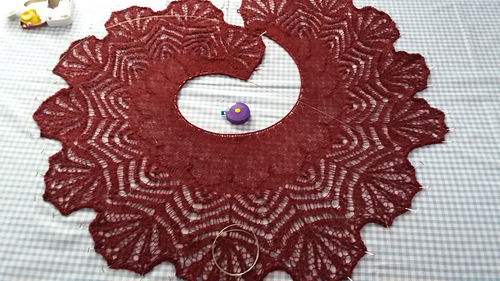 During the test knitting it came to my attention that echeverialaui was about to release a shawl pattern with the same name. Great minds, and all of that ;). 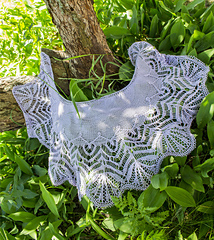 You can find her lovely design Primavera Crescent here.